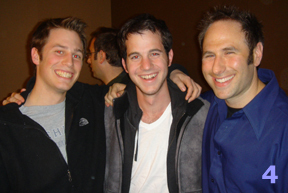 Jason & Randy Sklar of ESPN's Cheap Seats performed tonight at the Power Center on University of Michigan's campus. 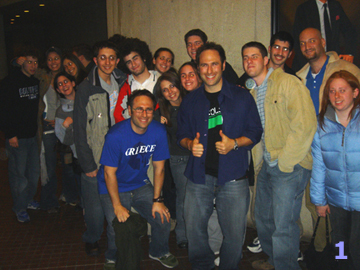 The event was sponsored by Michigan Hillel, Big Ticket Productions, and the Mel Gibson Foundation for the Anti-Semitic Arts through Religious Film Production. 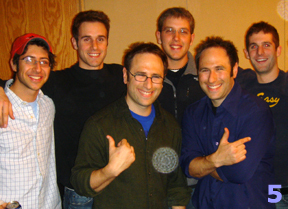 The Sklar Brothers were hillarious. 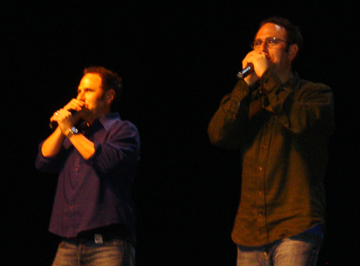 They are clearly the only stand-up comedians currently using the term "eiruv" in their routine. 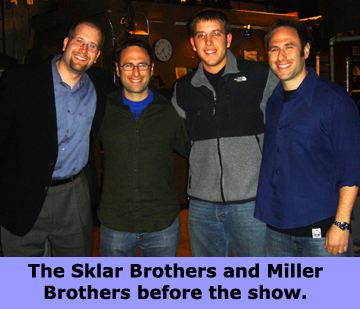 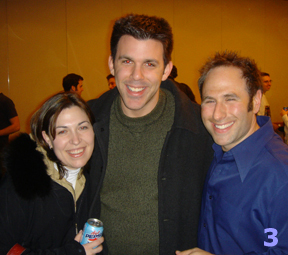 It's very possible that prior to the Sklar Brothers taking the stage at the Power Center tonight, I was the last Conservative Jew to perform at the venue (Yom Kippur 2004). 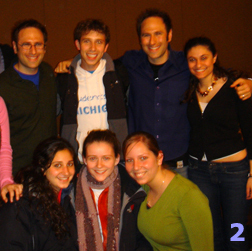 Close to 400 people were in attendance including members of the high school senior class from Nosh 'n' Drash at Adat Shalom Synagogue led by Warren Frankford (1); Hillel student leaders Perry Teicher, Monica Woll, Dina Pittel, Michelle Gorman & Sarah Kirschenbaum (2); Dr. David & Rebecca Salama (3); Jordan Sherman & Matt Orley from ZBT (4); and, my brother Jake & his posse (5).